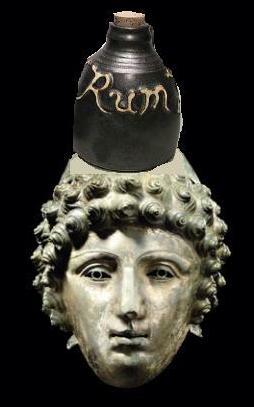 There is more than enough on the net about the magnificent Crosby Garrett Roman helmet and the one thing anyone Googling it will realise is that everyone – whether they are a detectorist, archaeologist or human being – will think the reported circumstances of its alleged discovery, form, removal, provenance, secrecy, find spot, restoration, marketing and reporting are mighty rum – and that all of those are all the more concerning in view of the fact the system we have means that we have to raise hundreds of thousands of pounds to pay to the finder and landowner else they might squeeze it under an export ban and heroically sell it to the highest bidder abroad. The intransigent landowner is being blamed but I rather doubt he’s the main mover. After all, it belonged, legally, 100% to him and the finder’s claim to half presumably rests on him having signed a 50-50 share agreement with the owner. I’d LOVE that agreement to be tested in the Courts. Most of the ones I’ve seen are more like con-tricks than contracts, with one party being less than aware of what it really said. Research them if you don’t believe me (or read this previous article! ), they’re dodgy as hell. So how about it before we the taxpayer and we the generous public scrape our purses: let the museum request to see the finds agreement and then get some top, top legal advice on whether it’s enforcable or ought to be disregarded as unfair to one of the parties. After all, if finders are willing to use the strict letter of the law to squeeze every last penny out of the community cannot the community do the same to save a few quid? Just think, we and the museums might only have to be dealing with ONE vendor – and he might be quite happy not to demand the maximum ransom from us! Fifty-fifty indeed, when it’s not their land or their artefacts! It’s too much. A reasonable man (and a reasonable judge) might say 90 – 10 in the landowners favour is more appropriate – and 100 – 0 if he wasn’t fully aware of the contract’s nuances! What greedy heroes detectorists are! They’ve taken their lead from the Treasure Act, which suggests equal rewards for both parties, but those are rewards, this is a matter of contract law and ownership! Gloves off to resolutely defend both the public purse and the public’s vital cultural interest – what nobler use could there be for lawyers?!! Let’s see if they say the legal aspects, like everything else surrounding this matter, are rum! I disagree. Surely if the laws were changed from the currently very fair 50:50 arrangement, finds like this helmet, the Staffordshire hoard and the recent hoard of Roman coins in Frome would be in real danger of never coming into the public domain. You have to remember that all these finds were found in the middle of knowhere and were found by chance. If a detectorist thinks that any find is going to be taken away from him in unfair circumstances, he is likely to keep it well hidden and it may well end up on the black market abroad. So they need at least 50% of the value to keep some of them honest. Well that’s honest, at least. Fantastic. And of course the inarguable projection of that is that it would take 100% of the value to keep all of them honest. Makes you proud to be living in Britain, doesn’t it?! However, I’m grateful you have made my case for me so eloquently. Those who can’t be trusted to treat finds as national treasure (and you have clearly indicated that’s a description of an unmeasurable portion of detectorists) have no business in the fields. It is a reality which every country except Britain has recognised and acted upon. It’s time we did the same, I’m sure you’d agree. As much as we find the commercial aspects of archaeology horrible and indicative of consumerist greed, the simple fact is that money to the vast majority of the population has become the oxygen with which we need to live. I’m no fan of such doctrine but I have to accept this sad fact of life. The Crown can claim, on behalf of the nation, any object or coin found in Scotland under the laws of bona vacantia. These laws apply to all newly discovered finds and to all old finds which have not been reported, whether they have been found by metal detecting, by chance, by fieldwalking or by archaeological excavation. Finders have no ownership rights to any find they make in Scotland and all finds, with the exception of Victorian and 20th century coins, must be reported to the Treasure Trove Unit for assessment. I’m no fan of such doctrine but I have to accept this sad fact of life. Why? Is there an immutable law that says Britain mustn’t act to reduce the damage even though the rest of the world does? I see that you carefully and manipulatively misquoted me by ommitting the context. So for correctional purposes, I give you the full context once again. “the simple fact is that money to the vast majority of the population has become the oxygen with which we need to live. I’m no fan of such doctrine but I have to accept this sad fact of life. Regarding your comment, It really is a case of “damned if you do, damned if you don’t”. Whilst it is a shame that someone found the helmet and is it going on the open market, the simple fact is that if the helmet had not been found then there would be no knoweldge of it all all – Ignorance would seem to be bliss in some circles so it seems. Personaly, I find the object to be quiete ugly and unnatractive so I don’t think I shall be bidding regardless. “I see that you carefully and manipulatively misquoted me by ommitting the context. So for correctional purposes, I give you the full context once again. Sorry for doing that. Now that you have quoted the context which your remarks should have been quoted in I will quote exactly that, and follow it with my own remarks – which are just as appropriate as before! Well in that case, let us imagine a Britain that acted to reduce the damage like the rest of the world does: No Helmet, no knowledge of the helmet, no chance of there ever being knowledge of the helmet. In fact whether or not this helmet ever existed matters not one iota. It is a ‘non’ helmet. Jolly good, everyone is now happy as there never ever was a helmet- Marvelous. So your accept your accusation was groundless but would prefer to take another tack than acknowledge the fact. Quite. ….. that is pure detectorese – pointing to what’s found and reported, not the far greater amount (that PAS says) isn’t reported. If metal detecting didn’t have a NET malign effect detectorists would be quite happy, like you and I no doubt are, for PAS to issue a leaflet to every farmer…. Approval or otherwise of full official disclosure to landowners of the effect of British laissez faire policies upon heritage is a fine way of sorting the faux heroes and faux conservationists 😉 from everyone else, don’t you agree? The people who made this find also ‘metal detect’ on our land – our agreement with them is also 50/50 – it is a verbal agreement, nothing is in writing. Our word is our bond as is theirs!!!! Gosh! Have they found anything valuable? Carol B. says: “As much as we find the commercial aspects of archaeology horrible and indicative of consumerist greed,…” carol, so-called “metal detecting” (lets call a spade a spade – artefact hunting) is NOT archaeology. It preys on the archaeological record, it erodes it, damages it. It is collecting, not archaeology. You say: “the simple fact is that if the helmet had not been found then there would be no knoweldge of it all all well, I am interested to know what “knowledge” you think this find has generated. All (ALL) Carol, the interpretation of this object is based on comparing this decontextualised item with previous finds. We do not know where this helmet was really originally deposited, we do not know for sure what it was deposited with, we do not know how it got there. The PAS “description” of the object is skeletal and incomplete in the extreme. This object is just an expensive geegaw – its value as archaeological evidence has been totally decimated by the manner in which it “surfaced” on the market. This goes for the majority of the detector finds whether reported or unreported. Artefact collectors (like the buyer of this helmet) are collecting not “doing archaeology”. And, sorry to keep on at this Carol, but “In fact whether or not this helmet ever existed matters not one iota. It is a ‘non’ helmet”. The helmet DID exist, safe below ground in its context of deposition for two thousand years and there really is no reason why it could not lay there safely tucked away below plough level in a piece of grassland for another few centuries. The point about conserving the archaeological record is NOT to have it all dug up and sold off just because somebody has invented the metal detector and we have no laws adequate to dealing with the “money thing” (let’s call it greed). We need to address the ethical (not only legal issues) concerning the antiquities market in Britain and internationally. If instead of a “Rembrandt” in the attic of the hypothetical house it was a white rhino living in the paddock, would you kill it to sell the horn (also worth quite a bit I understand)? I know many would. We are talking about conservation here and how to stop a finite and fragile (and for many of us here important) resource being treated like potatoes to be dug up and sold off. That is precisely how Britain treats its archaeological record, and what happened with this helmet is a very visible symbol of the whole malaise. Pat – indeed they have. My point is that there are still people who give their word and keep it without the need for written contract. Margaret, you use the plural (“people”), but surely there was only ONE finder of the Crosby Garrett helmet, is that not the case? Have they been coming on your land for long? Often? What do they find there that is “valuable”? Do your detecting people report their “anything valuable” finds to the PAS? This is very rash, isn’t it? The PAS and code of responsible metal detecting (and CBA) recommend a written agreement. A verbal agreement is worth nothing in case of any dispute wespecially where large sums of money are at stake. Do you know exactly what is being removed from your land and what happens to it? How? How would you know that helmet was not found on your land when you were looking elsewhere and then somebody put the bits in a sack and took them the next day to Crosby Garrett and said they found it on another bloke’s land because (for example) they had a more beneficial verbal agreement (or maybe a written one which could stand up in a court of law if challenged)? Maybe it is you that should be getting a nice fat cheque from Christie’s and not the other landowner? In these artefact sales, large sums of money are involved (even common items fetch lots of cash if you find enough of them, look at the valuation pages of any metal detecting magazine how much even common brooches and buckles are valued at). If you have no written agreement with anyone who comes on your land and takes away saleable artefacts, how could you even fight such a case about ownership or division of profits of any sales if there was a disute? Paul, I had no idea my comment would provoke such reaction. I did not err in my choice of plural noun. The whole story will be told someday – soon I hope. In the meantime the noun ‘trust’ remains in my vocabulary. I don’t think anyone would decry “trust” but I can well understand Paul being surprised that you didn’t have a written agreement as it’s something that nearly every detectorist tries to obtain, for everyone’s sake, and in addition the PAS and the detectorists’ organisations urge them to do so and the landowners and farmers organisations urge landowners to do so. It’s pretty sensible I guess – you wouldn’t sell your house to anyone on the basis of a handshake yet what they might find in your field could be worth far more than a house! We live near Crosby Garrett and I would love to know the contact details of the finder and invite him onto our farmland to search for more treasure. If that helmet went for £2 million and it was a 50/50 split then only a fool would turn that sort of money down. Sentimentality is one thing but it won’t pay the bills or buy things like hard cash does!! I understand what you’re saying Nigel and whilst I really don’t know how best to answer, I will say that after so many years involvement with these people we have no qualms regarding their honesty and integrity. I’m sure I can speak for all landowners/farmers who allow them to detect upon their land. George, how near? If you indeed farm nearby then you will know the identity of the farmer and he and/or his farming neighbours will know you – ask them. I rather doubt George’s land will throw up a £3 million helmet but I’m interested (as is he no doubt) what might turn up. Are they mainly Roman finds, and how often do they turn up? Cheers Margaret. I was talking about this to some farming friends in the pub last evening and we know whose land it was found on so will give him a call if I can find his number. You’re welcome George – he’s vanna flait to answer ‘phone! Personal approach be best. Fat lambs local or tup sales. Nigel, some Roman but mostly circa 1000ad onwards, some things from Longshanks time……………up to pres. Yes, I was particularly interested in the Roman stuff Margaret, in view of the helmet find, and was wondering if there was evidence of significant Roman activity in the area. Would you have an idea of how many Roman finds (coins and/or artefacts) have come from your fields and if so approximately how many per search session? Are there any Roman “hot spots”? I’m not aware of any Roman activity in this immediate area, the nearest being the fort at Brough some 4 miles away as the crow flies. There’s a Roman road 8 miles away towards Penrith. Perhaps they passed this way to or from Morecambe, Carlisle or York? The back of the helmet was folded flat as if to conceal it more easily – perhaps it was looted elsewhere and hidden up yonder? Very many searches bear no fruit at all and there are, as yet, no ‘hot spots’. I think you might be right Margaret. It was obviously in that soil for a very very long time Pat, but I do believe that could explain its presence there, unless of course someone can offer a more plausible explanation or if much more evidence of Roman activity is discovered in the area. Margaret, I know Eric as he has bought some stuff off me at the auctions. I just can’t find his number at present. I’m really pleased for him getting all that money as he’s a decent bloke and works for it. I would love his guys to come over on my land and have a go and see whats there. Might be able to take Ruth on a decent holiday if i’m lucky !! Well I suppose that’s something that hasn’t yet been established scientifically. It’s a bit of a shame archaeologists weren’t called out to do the excavation. Think of the positives. When people realise how much money can be made, more people will buy a metal detector and give it a go and therefore more finds of importance will be found. Stands to reason. Wish someone would give me a couple of million. I’ve worked since I’ve left school in low paid jobs, I haven’t had a proper holiday in years, I’ve got a bad leg and still work all hours under the sun. Thing is theres loads of deserving people out there who work hard are decent and are in difficult situations but they don’t get a nice windfull. I’m not about to go out and dig up the archeological heritage of the British Isles so I can have decent holiday and theres plenty of other people who think the same. ‘Think of the positives. When people realise how much money can be made, more people will buy a metal detector and give it a go and therefore more finds of importance will be found. Stands to reason.’ Paula, I’m sorry but as an archaeology graduate (currently unemployed and would love some money to fund postgraduate study but I’d rather not bugger up our heirtage for all and sundry to achive it) this makes me seethe. Positives? finds of importance that will be dragged from thier context without proper excavation and recorded with the bare minimum of detail and any knowledge we have of WHY and HOW an object got to where it was will be damaged beyond repair. Any archaeologists knows excavation is a last resort becuase it is destructive, once you destroy that context that’s it and that’s why archaeologists record everything to mind boggling detail that would stun a metal detectorist who thinks it’s O.K to give a parish name as a broad location and lug an object out of the ground without recording it IN the ground first, and if nees be leaving it there preservation ‘in situ’. Context is possibly the most valuable assest to undertstanding an archaeological site and anything that robs an object of its context is destructive, especially when so little care has been taken recording the context before ripping an object out of it, which once it’s done is done and there is no going back. I really think it’s a problem of education, somewhere along the line the importance of context and information above objects and shiny things is not being reinforced, or even mentioned. Thanks Chloe, I think you nailed it. Education about context is at the heart of it. Trouble is, I’m afraid the pupils have their fingers in their ears. I suspect there are few detectorists who don’t now know precisely what is required of them. Yet most don’t do it.